Here you will find information on the Youth and Young Adult groups of the Methodist/Wesleyan family. The journey of a thousand miles began with a simple prayer; “God of life, lead us to justice and peace.” Bags packed and tickets in hand, I set off for this once in a lifetime journey across the continents of the world to the Asian nation of South Korea which hosted the 10th Assembly of the World Council of Churches, still unclear of what awaited me. 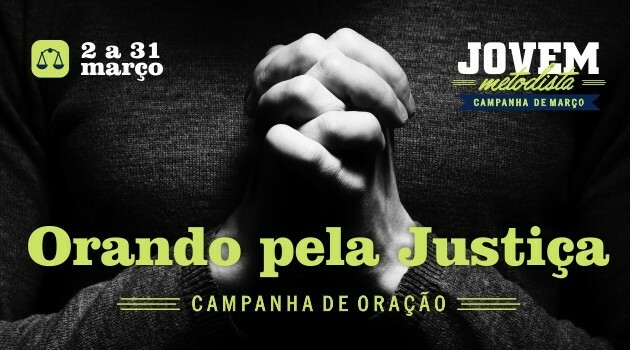 From March 2-31 the Methodist Youth Confederation of Brazil along with the Youth of the Ministry to Combat Racism (First Ecclesiastical District) engaged in a campaign "Praying for Justice. Resurrection, Superheroes, and the Fight For Justice Growing up in church, Easter was always my favorite holiday as a child. Although our observance of Christmas was sure to mean new presents for me, somehow Easter was the one I enjoyed the most. I loved the Easter speeches we children recited on Easter Sunday during Sunday School. There is great potential in ecumenism today. In an international context, the prominence of individual Christian denominations has fallen substantially from the shibboleths of unquestioned power they had this time a century ago. Thus, the need for working together to accomplish tasks is even more pressing now than it was then. Billy Graham might have said, “this is a big world; we need all the help we can get.” The sentiment holds significance still today, yet from a different vantage point. 2016 International Methodist Young Leaders Seminar Applications now Available!